Rudra Homa is a grand effort from the Hindu community to come together to bring rain to California. We invite YOU to be part of this grand endeavor. The divine cosmic energy is invoked in the homa fire through prayer and visualization. The fire is energized by the chanting of mantras, allowing the energy to spiral upward and outward into the surrounding environment. Performing a homa cleanses and rejuvenates the environment by allowing an abundant inflow of prana (life-force) into the atmosphere. 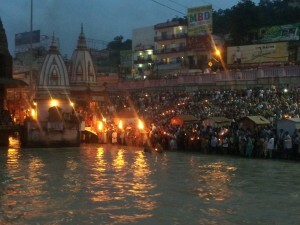 Participating in this ritual brings tremendous harmony amongst people and natural environment. 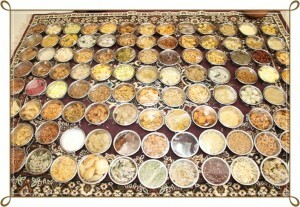 This very kalasha will be kept along with 108 others to be energized in the Rudra Homa at the Kumbh Mela. Through visualization or meditation we connect to the sacred ‘akasha shakti’ or ether or space. From ether, through verbalization of mantras the air around us is sanctified, through the fire ritual of the homa we awaken the inner fire within us and by worshipping the water in the kalasha or pot, we make a sacred connection to the water element. Finally the cosmic energy is worshipped in the bhimba or the deity which presides over the Homa ritual. Sponsor a Kalasha (pot) for your family, and participate in the grand procession carrying the kalasha on the day of Kumbh Mela. Personally experience the phenomenal energy that the Rudra Homa will be heralding in on Saturday, 24th of Oct 2015, starting at 2PM. Sponsorship is $108 per family. 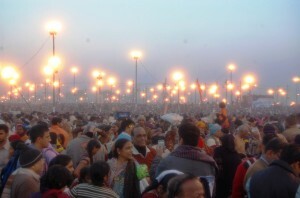 The Kumbh Mela is the largest gathering of human beings on planet earth. 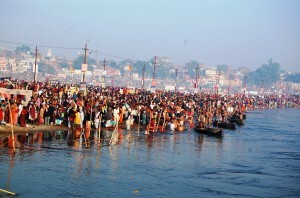 In this huge fair, people from all walks of life participate: like sages, yogis, ascetics as well as common men go on a grand procession to take a dip in the sacred rivers. The procession of these sadhus at the Mela remains the biggest attraction and a colorful celebration on display. 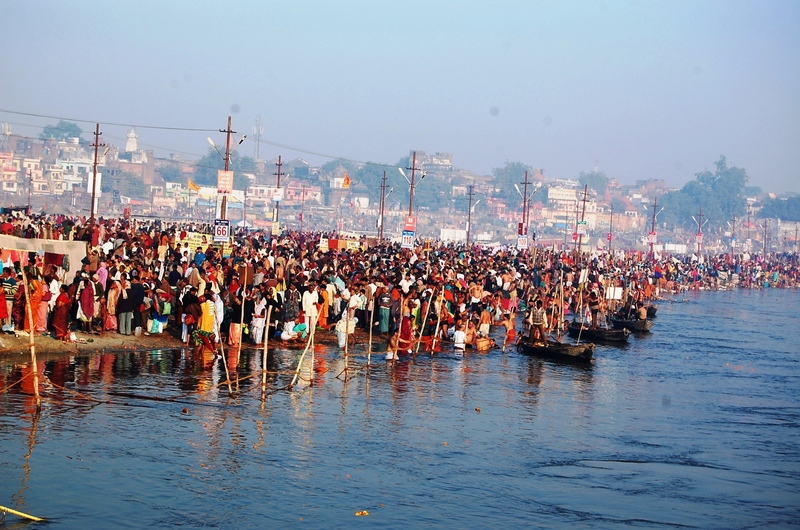 Taking holy bath in a sacred river such as Ganges or Godavari and especially on the most auspicious day of Kumbh Mela gives an opportunity for people to purify their body and soul. At the Mela here in Los Angeles, the deities from various temples will be brought in a procession and immersed in the water sanctified with Ganga water. 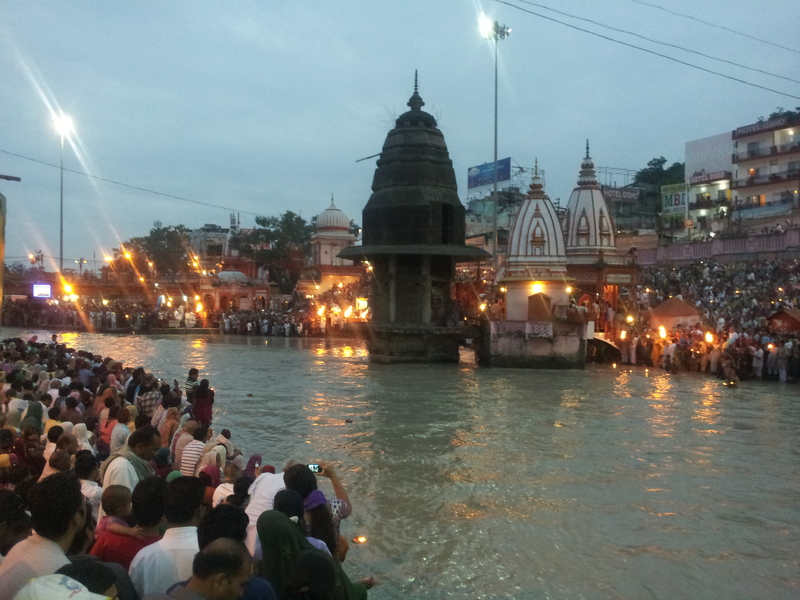 After the water is energized by the deities, masses gathered will be blessed with this sacred water. Spiritual Heads and Sadhus of various Hindu tradition bless the devotees with the Kumbh Mela message. 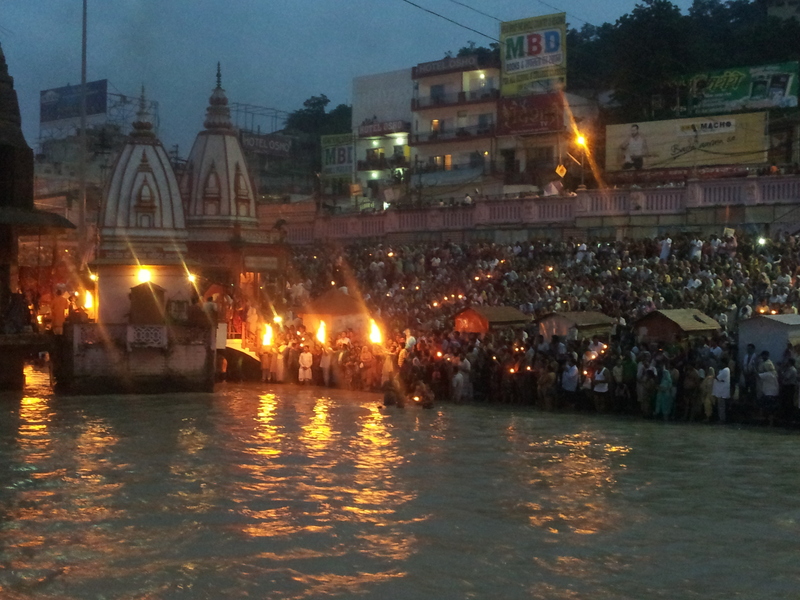 Maha Aarti is a vedic ritual done to worship Goddess Ganga in which light of 51 or 101 wicks soaked in oil or ghee and camphor is offered to Goddess Godavari. Witnessing the Maha Aarti gives peace of mind, brings prosperity and happiness to the family. River Godavari is personified as the goddess giving moksha and washing away all sins of the devotees. 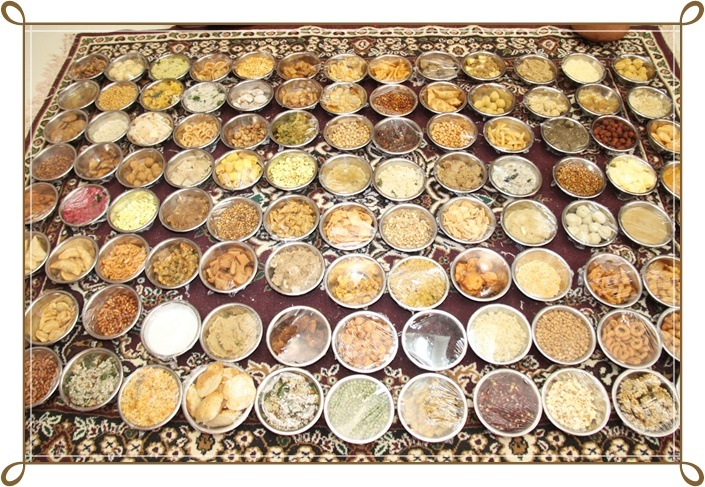 Offering of free food to all those attending the Kumbh Mela is a timeless tradition. Continuing with this tradition, Sanatana Hindu Sangha is proud to offer free food during the USA Kumbh Mela to the devotees. Music has the power to take a person to the space where it comes from. When devotional music or Bhajan is sung, it carries the listeners to the same space of Bhakti/Devotion. The Kumbh Mela events conclude with the bhajans on Lord Shiva and other deities, giving a prelude to the Maha Shivratri Celebrations!